Hopskeller is located in Downtown Waterloo, Illinois. Waterloo is just minutes from the metro St. Louis area and has a historic and thriving downtown. Hopskeller joins the ranks of popular destination restaurant Gallagher's, our friends at Stubborn German Brewing Company just around the corner, and many other great stops in town. 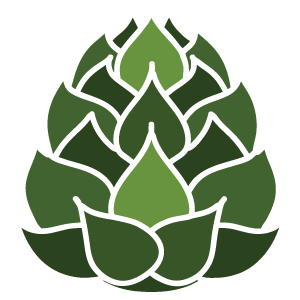 Hopskeller is a brewery influenced by the beers of Northern England and the Pacific Northwest, currently focused on providing our Pale Mild Ale, Raspberry Ale, "Illinois Common" Ale, Northern Pale Ale, Northern English Brown Ale, and "Across the Pond" Hybrid IPA. Brewed in a pre-Civil War home remodeled with reclaimed materials, devastated by an after-hours fire, and reopened one year later, Hopskeller is more than a brewery. It is a gathering place for laughter, discussion and the heart-warming joy of beer with friends. Our brewers have won over 20 awards at sanctioned homebrewing competitions across the country since the summer of 2015 alone. Our specialties are English-style ales and Northwest Coast American ales. The choice of beers has some sentimental importance; founder Matt Schweizer has lived in northern England and Oregon, and both places were instrumental in helping develop his style and brewing philosophy. Many of Hopskeller's beers come from recipes that Matt created to relive the greatest moments of traveling in Europe and the American Northwest, and we hope that these beers will create memories for you, too! We offer a wide array of seasonal ales and lagers that test the artistry of our brewing team and will hopefully intrigue even the most experienced beer nerd! In addition to great beer, we also offer a variety of hand mixed cocktails and a wide wine selection. We also serve wood-fired pizzas, soft baked pretzels, hot dogs, brats, salads and other foods that make great beer pairings. Come try them out! Want special offers? Free beer? Leave your name and email and we'll get you on the mailing list! Clean, refreshing, and perfect for fans of lighter beers and those looking for a fascinating lager interpreted in the English style. Lager with a rich, toasted malt aroma, hibiscus and the slightest hint of Hallertau hops, brewed in collaboration with local homebrewers John Williams, Steve Agnew, and Dominick Juliano from The Ferm Homebrew Club in Waterloo. A unique pale ale perfect for the winter season. A dreamy take on a newer style. Fun, fruit-forward and easy drinking. This IPA features a rich, rustic malt backbone with woody, piney and citrus notes.